Ingrafix is an Abu Dhabi (United Arab Emirates) based Internet and Intranet Solution Provider with over 10 years experience. 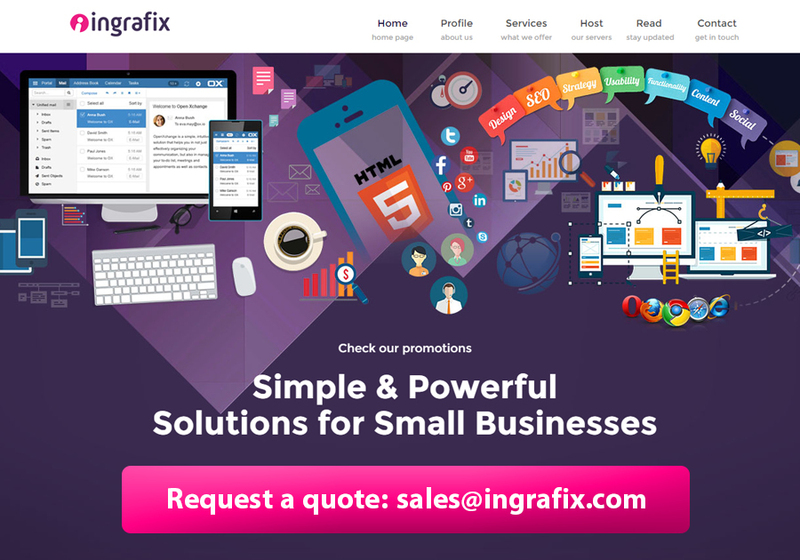 Since its inception during mid of 2003, Ingrafix always focused on delivering practical, cost-effective and innovative solutions for assisting business in achieving their desired goals. Combining our solid business domain experience, technical expertise, profound knowledge of latest industry trends and quality-driven delivery model we offer progressive, cost-effective and comprehensive online business solutions. We provide full-cycle services in the areas of internet infrastructure setup, web development, cloud apps, digital media, SEO and online marketing solutions. Our quality solutions and experienced consultants are committed to deliver maximum value to its clients helping them succeed constantly. Some of our clients : Abu Dhabi Urban Planning Council, Abu Dhabi Falcon Hospital, Abu Dhabi Education Council, Dubai Sports Council, Abu Dhabi Terminals, Emirates Network LLC, Robtstone ME, Al Fardan Exchange, Light House Club, Daman Insurance, First Gulf Bank etc.